I’ve always got a kick out of things my kids have said and have picked up little phrases over the years. To put this in context, when I was a little kid, I used to freak out at the thought of monsters. My cousin Terry would scare the crap out of me when we’d visit my grandpa in Playa del Rey California at his beautiful house on Jacklyn street near Dockweiler Beach (now torn down). We’d travel down there from Lompoc on the weekends and if Terry was also there, he liked to watch the Saturday afternoon monster movies on KTTV Channel 11 and would make me watch them with him. The monsters often involved some kind of giant insects or giant animals, either from outer space or created by radiation. A classic example of that was the movie about giant ants called Them! Later on, I finally realized how phony those monsters were and became a hard-core fan. I’ve written dozens of short stories over the years, many of them icky bug. In fact, the first three stories I ever published were what I like to call part of my “West Virginia Trilogy.” All three of these horror stories took place in, you guessed it, West Virginia. The very first story I ever had published, called The House, made it into an anthology published by the Highland Writer’s Group out of Highland, Indiana in 2003. 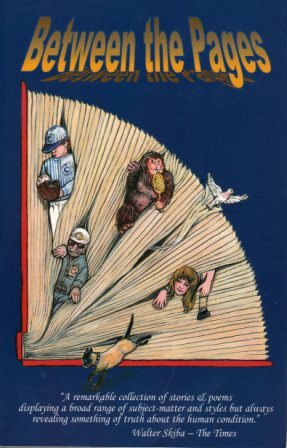 Below is the cover of that book, called Between The Pages. The book never made it to Amazon and I think it is out of print now. Still, the thrill of seeing my name as the author of a real, honest-to-goodness story is hard to describe. It wasn’t much, but it was a start. The House is about an illusion where the victim spots the house in the distance, tries to hike to it, but dies of exposure. Their corpse is found days or months later with no explanation how or why they died. Our hero figures out how to break the illusion and survives. My second published story, also icky bug, made it into the anthology, Writer’s Bloc, published by the Henderson Writer’s Group in Henderson, Nevada. They are also my current group and are a huge reason as to why I am where I am today. Writer’s Bloc came out in 2006 and included The Walk Home. Below is the cover shot. The Walk Home was inspired by a real incident that happened to me back in the late 70’s when my car broke down on the way home from work on a Saturday night at the TV repair shop in downtown Weston, West Virginia. In this story, the hero also breaks down, has to walk home through the snow and thinks he’s being followed home by a serial killer. What he doesn’t realize, once he’s home safe and sound, is how lucky he is! 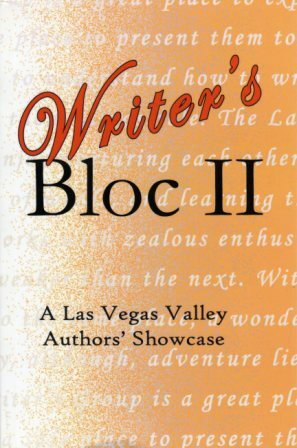 The third story in my West Virginia trilogy made it into Writer’s Bloc II, the second anthology published by the Henderson Writer’s Group, this time in 2008. This story is called The Basement. Below is a cover shot of that book. The Basement was inspired by a haunted mansion we used to pass on the way from Roanoke to Walkersville, West Virginia. This old house was used for Kiwanis meetings and such and they say it was haunted, so I just took it from there. I guess I should take note to mention to you that the Roanoke I am talking about is NOT the major city you are probably thinking of in Virginia. Roanoke West “By God” Virginia, was (and I must emphasize was) a town of about 100 people that now sits at the bottom of Stonewall Jackson Memorial Lake, in the center of the state. So, there you have it. The first three fictional stories I ever had published just happened to be icky bug… well, in this case, horror by definition, since none of them actually had icky bugs in them. However, I am not done! My second full-length novel, the first real novel that I ever wrote that I could ever say was even close to publishable, just happened to be icky bug. It is called The Greenhouse. I wrote it in late 1995 to early 1996. I had just finished writing my first novel, The Cave, which was sci-fi, but was a first attempt, and to this day, I never want it to see the light of day! At the same time I was writing The Greenhouse, I was also developing the seeds of the plot for my first adventure thriller, Lusitania Gold, inspired by the great Clive Cussler. For more on that, you will have to go to the Adventure/Thriller Page. The Greenhouse was the first novel where I found my chops, where I found continuity, where I developed a voice and a style. The whole story was a path of discovery. I learned just how serious I really wanted to get and how humorous I was going to be, whether I liked it or not! By the time I made it to the last page, it became evident that when it comes to icky bug, my style is firmly planted in the B-movie Saturday afternoon SyFy matinée tongue-in-cheek style. I just can’t help myself. At present, I am working hard to prepare The Greenhouse for publication on Amazon Kindle later this year. As it comes closer to publication, you will be hearing more about it here and on my main blog page. Stand by on that. The quick and dirty on The Greenhouse is a monster ivy plant eats Altus Oklahoma. And no, it’s not Little Shop Of Horrors! Not even close. My second icky bug novel, which I wrote last year, is called The Factory. It was inspired by my stint as a maintenance planner at a wet corn mill in Indiana. A demon infests the steam system at a corn mill and mayhem ensues! I am pitching that one at the moment. A few weeks ago, as of early August, 2011, I finished edit #28 of The Greenhouse and sent it off to my beta reader/editor Carol for a final read-through. I’ll soon be ready to inflict my unique vision of icky bug upon the world! Stay tuned. Today, Aug 19, 2011, I turned in The Greenhouse version 8 to my beta reader and best editor, Carol for another read-through. How it ended up being #8 is a mystery to me as it is actually version #30 since my last note above. I’ve made some significant tweaks to it and in the process, probably created some new errors for her to find. I’m still in love with the story. I don’t regret one minute of writing it or the result. I hope one day you will get to see for yourselves. You may think I’m crazy or delusional, but just maybe you’ll agree with me. It’s been a while since I’ve done a progress report so thought I’d let you all know how things are going. As for The Factory, I have been reading it to my writer’s group and am up to Chapter 54 now. There are seventy some chapters so there is still a ways to go, even though they are short chapters (four to six pages). As for The Greenhouse, well… I finally got it back from Carol and it still needs a few tweaks. I have a few sequencing issues to work out then I need to work out a wheel and deal with someone for a tradeoff with line editing. I also still need a good cover. My dream of getting it on Kindle by the end of the year went up in smoke. Oh well, I’d rather have it right that half done. I finally got going and now I’ve finally found my mojo again. It’s something we, as writers, just have to possess or what we write just won’t work, at least in our own minds. I finally felt that spark that let me fix what needed fixing. I’m up to Chapter 21 now and when I get the mood, I can go in and do a bit more. I wrote out a simple outline of the problem areas so I know what I have to fix and where, based on Carol’s notes, and just have to hope I don’t create more technical errors fixing my technical errors and other problems! That is one reason I need another line editor. However, I will not pay for it, but I will work a deal and line edit for someone else in trade. I just have to find that someone that will trade. Wish me luck! Yeah, it’s been a while. I finished reading The Factory to the writer’s group. Got some great feedback too. Then I sent it to a beta reader and received some great feedback. I digress. 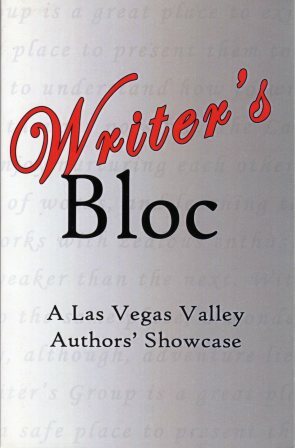 Last year at the Las Vegas Writer’s conference, I pitched it to several agents and got two positive hits. One was a bad fit despite the positive hit. Turns out she represents Christian fiction and my story would not work there. However, the second one might. Since he said yes, I still had a good chunk to read for the writer’s group, did that, then the beta read, and finally sent it off six months later. I am still waiting for a response. It’s been almost six more months and nothing. The publisher says turnaround can take six months or longer so I’m not too concerned yet. As for The Greenhouse? I’m up to page 155 right now. It’s been put on a big back burner for the forseeable future. I just can’t seem to get motivated right now with it. It’s a great story. I know it, but coming up with dynamite artwork cheap and finding a good line editor besides myself, I just can’t afford. I’ve been trying to do a wheel and deal with a line editor but so far, no dice yet. With those seemingly insurmountable hurdles facing me, I keep letting it slide. Bad on me. It could be my first self-published e-book. My friend Martin Greening has a new on-line publication called Azure Keep Quarterly and is seeking short stories. The problem is he’s looking for science fiction, fantasy and historical fiction, not icky bug. My stock of unpublished short stories is all icky bug right now. What to do? I began a sci-fi short story last night based on a novel I started a few years ago but never got anywhere on. It’s over halfway done. We’ll see how that goes. I wrote a good, somewhat creepy, story about a factory when I worked in an auto parts factory. Big industrial complexes are great for creative inspiration. I agree. The Factory was based on a wet corn mill I worked at. The place was older than the Titanic. Many of the original buildings and a lot of the machinery was still in place though not used. Talk about creepy! It reminded me of when I visited London back in the early 70’s. If there are ghosts anywhere in the world, it’s London. If not there, then that factory I worked at. Regarding The Greenhouse, I have spent time in the middle of a fully grown cornfield pulling weeds. Have you ever seen those enormous black & yellow garden spiders that like hanging ( :->) out in cornfields? Their webs are like small South American countries. It is quite easy for me to imagine a big damn ivy eating a town. My uncle got lost in a cornfield once. He could not remember why he went in it. Eerie. Hmm. I confess I have not read any of your stories. Just ran across your–uh–writer’s report (hating the word blog, I am. I am looking for the author of a science fiction story entitled “Icky.” From the ’70s. You can see, of course, why I found you. Well, this is a really creepy story, in a science fiction anthology. I was using that text in a science fiction course that I was teaching at a technical college. Perhaps you know of it or can give me some tips on how I can track it down other than Internet searches. You would like this story. Icky is a sentient, dirt of, slug from another planet. Many of them have come to Earth to live. They are friendly aliens. They attach themselves to people, usually at the neck-shoulder area; they are big slugs. The slugs & the humans have a symbiotic relationship. Enough for now. Can you help me? Anyway, thank you for reading this. I will find one of the books with your stories. Thanks so much for the kind comments and your story! I have never heard of “Icky.” Sounds like a great short story with benevolent icky bugs similar to Invasion Of The Body Snatchers, in a way. I’ll have to look into that one myself and see what else that author has done. I’ll e-mail you privately about my West Virginia Trilogy. Most of my stories are still available on Amazon in those mentioned anthologies but the first one, The House was a very limited run by the Highland Writer’s Group in Highland, Indiana. I don’t think it is any longer in print. I’ll connect with you so you can get it.